Is Mitsu telling the truth? - Cars! Cars! Cars! Is Mitsu telling the truth? Or trying To Save Sales? Leftlane News reports: Mitsubishi: We won’t leave U.S. With sales in the hopper and nothing particularly amazing for sales (or even coming out soon), we can't figure out why Mitsubishi would want to stay. All of Mistu's products are competent, but none seem to have that extra something special. Chrysler's got the bold look of the 300 and the Charger, Honda and Toyota have the reliability thing and Hyundai has the more for less piece. 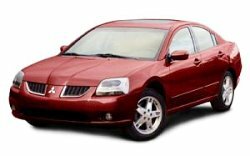 What does Mitsubishi have? Mitsubishi has done a really great job with their Evo X though. I guess they are now back to business. One thing I always see in any Mitsubishi cars is that most of their Vehicle's Technology are copies, The sting that other manufacturer has remains absent for Mitsubishi. Still, I had a chance driving the new 2009 Lancer and it performs well.